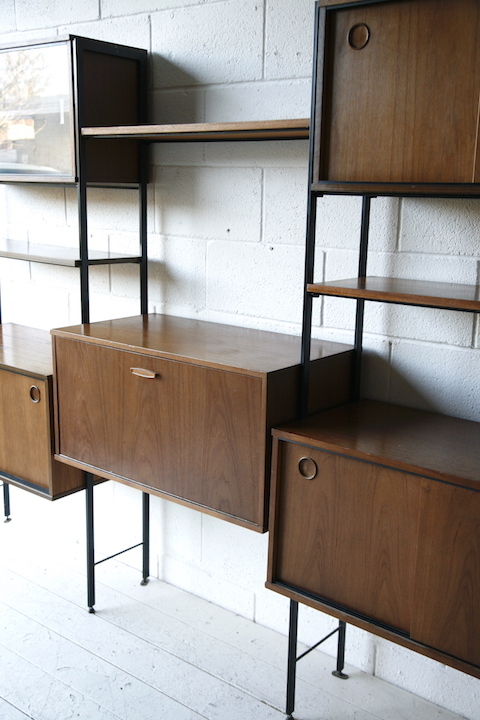 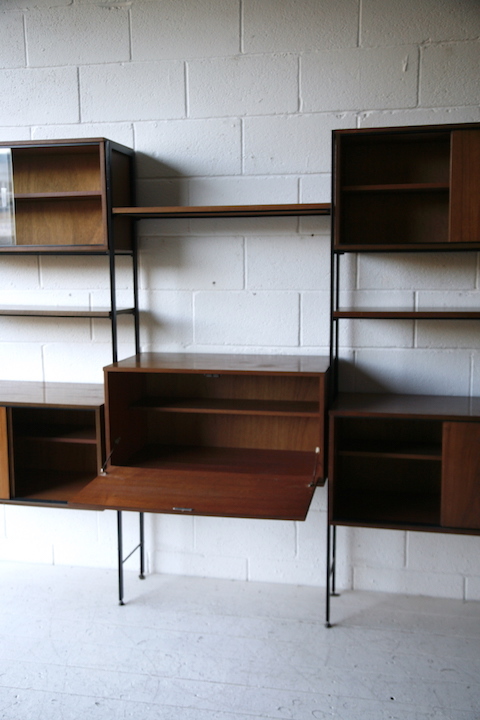 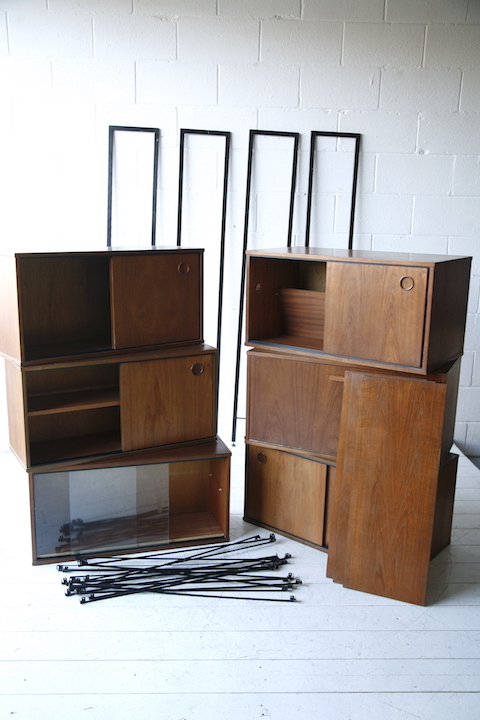 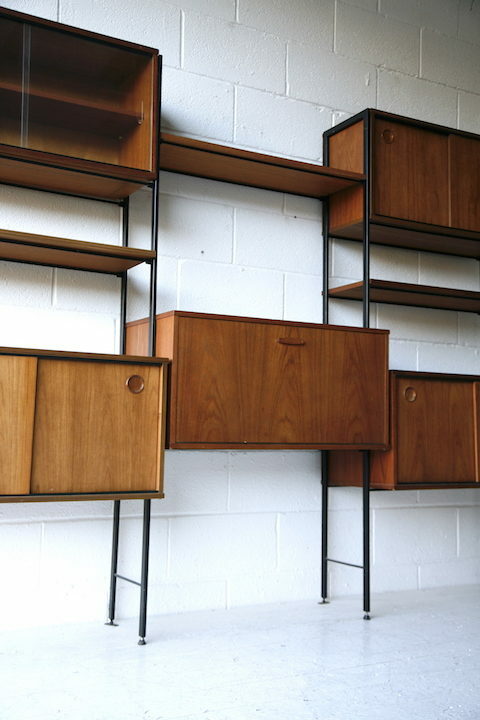 A stylish 1960s teak shelving unit. 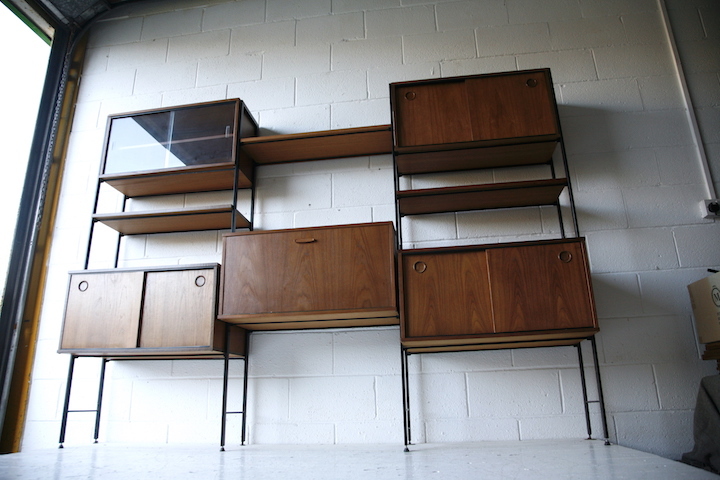 Consisting of a drop down bureau, 4 cabinets with wooden sliding doors (one not photographed), 1 glass fronted cabinet, 3 shelves and 4 black steel uprights. 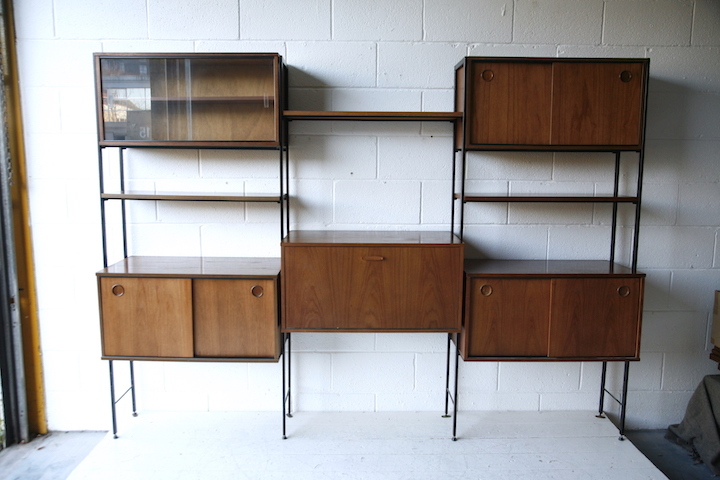 In good vintage condition with some marks and age related wear.